A Category is basically a collection of playlists that you can use to populate your Media Center page or Set Top Box channel. They are very simple to set up. Simply click on On Demand in the left nav menu, then click on Categories. 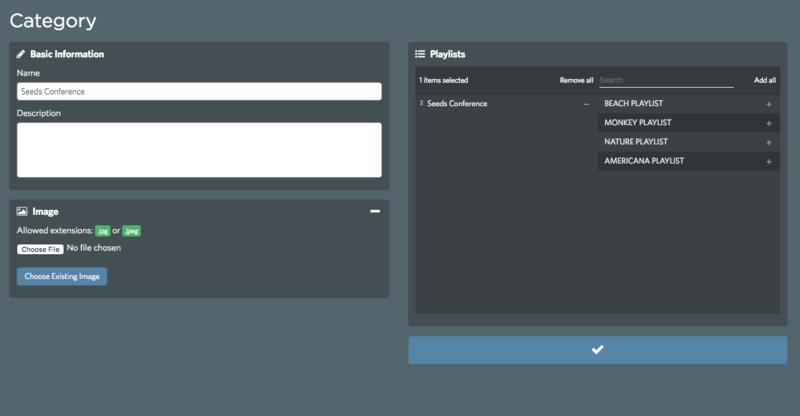 You will create a new category, where you can select a name, description, and then choose which playlists you would like to add to your category. If you are not sure how to create a playlist, click here for instructions. I would recommend adding a category-specific image here. If you don't upload an image in this section, then when you go on to use the channels feature, a default will be chosen for you. When you're finished, click the blue check box to save, and you are good to go!